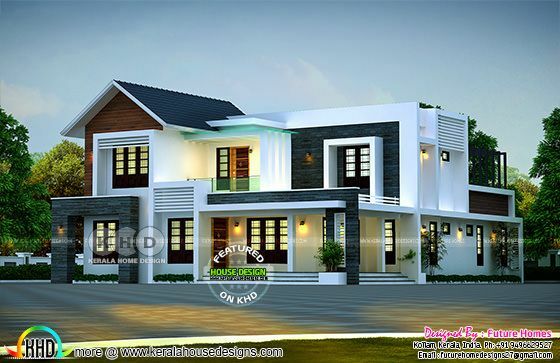 2988 Square Feet (278 Square Meter) (332 Square Yards) 3 bedroom mixed roof modern home plan. Design provided by Future Homes from Kollam, Kerala. First floor Area : 973 sq.ft. Total Area : 2988 sq.ft. 0 comments on "Two storied mixed roof home 2988 sq-ft"